hope next time recepton will be better ! 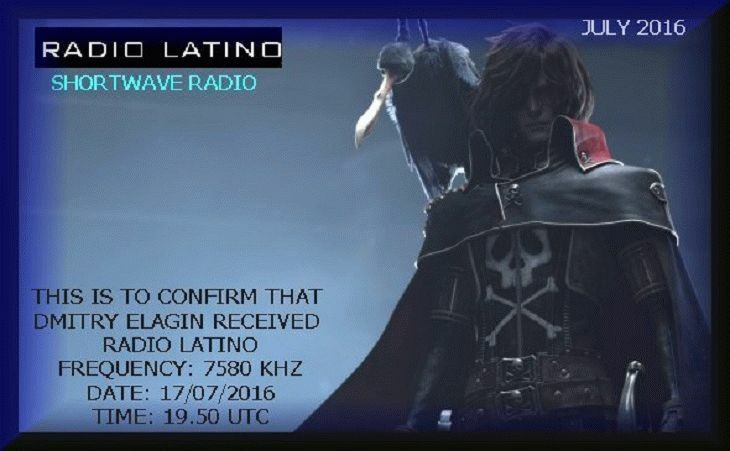 You find enclosed the e-qsl confirmation and a Radio Latino jingle. Here in South Italy in august the temperature is too high for the transmitter, we are now 35° and about 30° in the night, it is impossible for the 2 fans to cool down the 600 watt p.e.p. transmitter, that is in located in a not refrigerated room, so we will back on air on september.